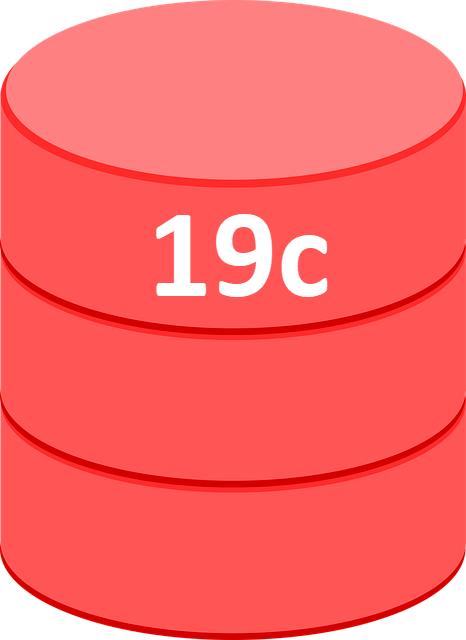 Oracle 19c Released : How does that make you feel? Back in 2017 I wrote a post about the move to the yearly release cycle for Oracle software. It’s over 18 months since that post and we’ve had 18c and now 19c released (on LiveSQL), so I thought I would reflect on some of the pros and cons I mentioned in that original post. If you want to know what I originally said about these points, go back to the original post. Quicker release of features : It’s becoming clear to me that some of the 18c features were actually 12cR2 features that didn’t make it into the documentation, even though they were present in the product. I’m not sure if these were present in the initial release of 12.2.0.1, or got introduced in the proactive bundle patches later. I have no problem with this, but it feels like the documentation is not keeping up with the new features added in the release updates. Where 18c is concerned we’ve had 18.1, 18.2, 18.3, 18.4 and now 18.5, but I don’t see a change in the documentation. Now a drop of the documentation once a year that includes the latest changes is better than the once every 4 years, but it still feels odd that we’re getting new functionality added, but no way to see that except for scouring MOS notes. I wonder if this situation will continue in 19c release. Predictable release cycles : Yes. Nice. Stability : This was originally one of my cons, but I’m going to move it to the pros section. I was worried the quicker release cycle might lead to a lack of stability, rather than the improved stability. I don’t know how other people feel, but 12.2 and 18c have been pretty good for me. I try and apply the proactive bundle patches (BP), now Release Updates (RUs), so I’m going all-in and things have been good. We are a “middle of the bell curve” company, so I probably won’t experience some of the edge cases you might, but that’s what I feel about it. I hope 19c continues this trend, as I see it. Upgrade/Patch burnout : I’m currently upgrading some databases to 18c, but part of me is thinking, “What’s the point?” Let’s say the on-prem 19c drops in April, and we will wait for the first RU after that which might be July. I’m potentially only 6 months from having a viable 19c upgrade path, which is after all the Long Term Support (LTS) release. Should I bother with 18c now? I can understand if some people say no. I’m still going to move forward, as this solves some other issues for me, including the conversion to Multitenant of some 11.2 instances, which will make future upgrades easier. Having said that, mentally it is a downer and I can feel an element of this burnout I predicted. Product Support/Certification : Yep. As predicted, many companies don’t seem to recognise that 18c even exists, let alone support their products on it. If I were charitable I would say they are waiting for 19c as it’s a LTS release, but in reality they are still struggling to check that 12.2 PDBs work for their products. I hope vendors get their act together to provide support for these new versions more quickly. That includes Oracle too. Learning : This still concerns me. I got access to 18c straight away on Oracle Cloud and LiveSQL, so really I’ve had nearly a year of 18c. For those people that first experienced it after the on-prem release, they’ve had about 6 months experience and the 19c hype train has started. Now it will still be a year from one on-prem release to the next, but it just kind-of feels like it’s only a 6 month release, if you know what I mean. I’m currently still writing about 18c features, but part of me is thinking, “What’s the point?” My mind is looking forward to 19c. As we move forward I realise each release will be smaller, so working through the new features will not be so heavy, but I’m still worried people (and I really mean me) will disconnect. Certification : I just checked today and they are still pushing the 12cR2 certification. Now this is still relevant, as 18c and 19c are effectively 12.2.0.2 and 12.2.0.3 respectively, but it just sounds bad. Hey, 19c has just been released and I’m working for the 12cR2 certification? I get the distinct feeling certification is dead to me now. Let’s see what Oracle Education do with this. Maybe I’ll change my mind. Of course, it’s still early days so we will see how the cookie crumbles over the coming releases. I suspect I may be forced to cherry-pick a little. Although a DBA may like some of the new features, they affect comparatively few people in the company. I feel development new features are a bigger draw for getting people to buy into the upgrade cycle. Just this week a project started on an existing 11.2 instance, but involved a bunch of JSON functionality, so it was moved across to an 18c instance. The developers only know this functionality is in 12.2 and 18c because I’ve actively promoted it. If I had not done this, they would have stuck with 11.2 and wasted a bunch of time manually coding stuff. Author Tim...Posted on January 19, 2019 January 19, 2019 Categories OracleTags 19c, Oracle, release1 Comment on Oracle 19c Released : How does that make you feel?